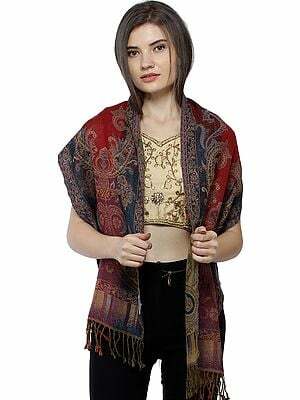 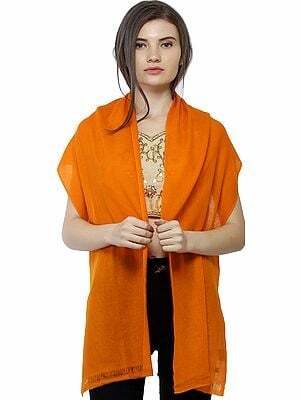 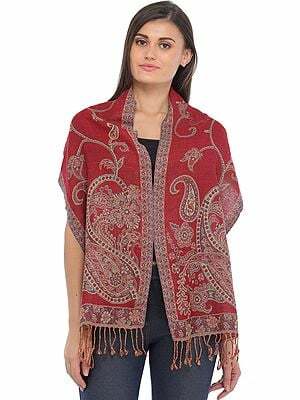 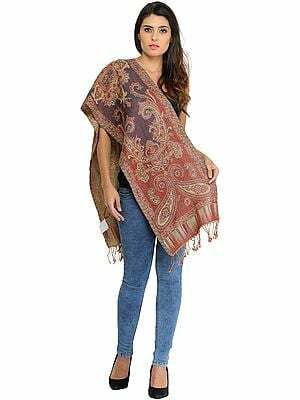 Every woman should have a few statement scarves in her wardrobe. 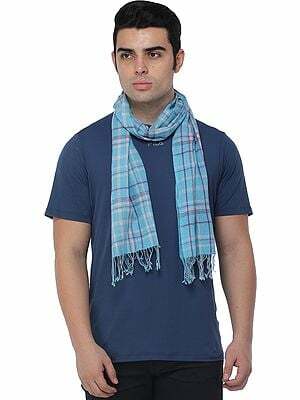 Designed to be layered over the rest of your ensemble, a scarf is a versatile item of clothing that could be used to add some jazz to an everyday outfit as well as make a statement. 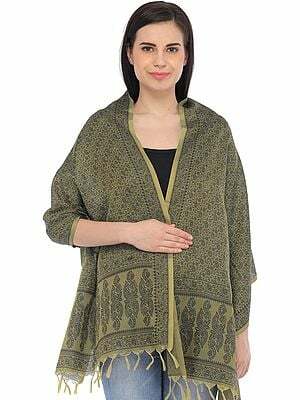 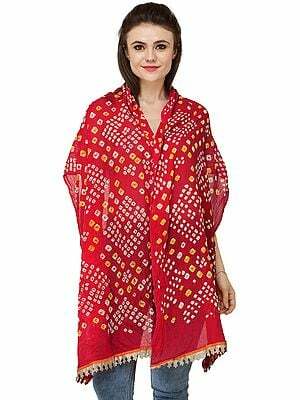 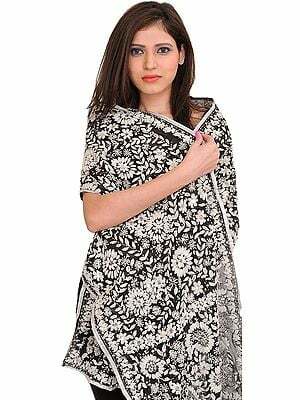 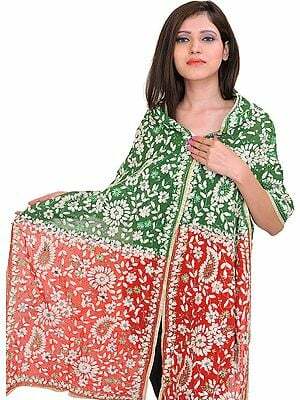 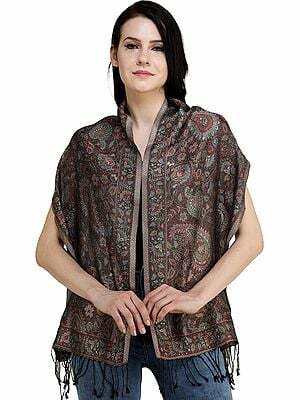 The ones in this section are distinctly ethnic ones, handpicked from pockets across the subcontinent for the unusual weaves and embroideries that characterise them. 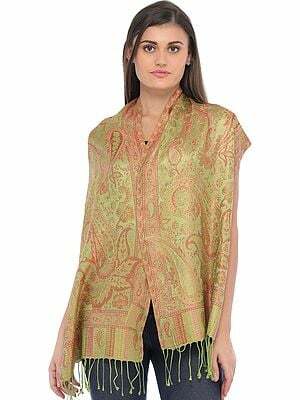 For example, woollen matted scarves and soft printed ones are featured in this section next to gosammer numbers from Banaras exhibiting exquisite weaves like tanchoi as well as zariwork and other distinct embroideries. 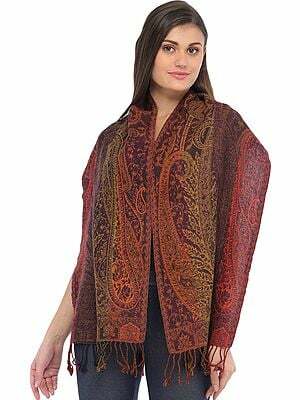 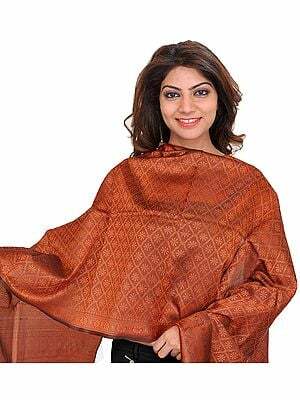 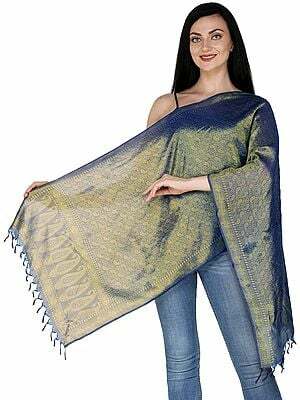 Wools, including pashminas, and silks are the dominant fabrics given their functionality for the winters, even though a tonne of downy cottons complete the collection. 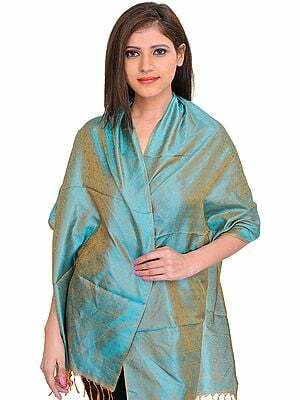 The colour palette is diverse, what with the a plethora of neutrals and vibrant pastels to suit a variety of moods and occasions. 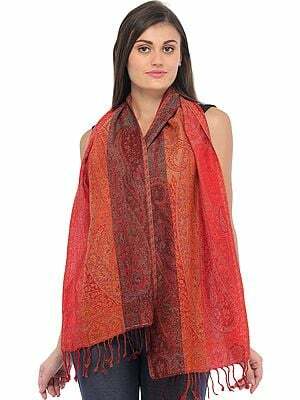 What sets these scarves apart from your run-of-the-mill ehtnic scarves is the fact that each of these one-of-a-kind pieces feature a weave and/or an embroidery that is endemic to the place it has been sourced from. 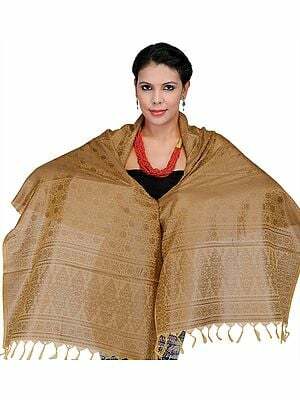 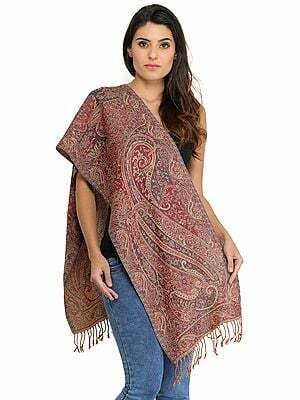 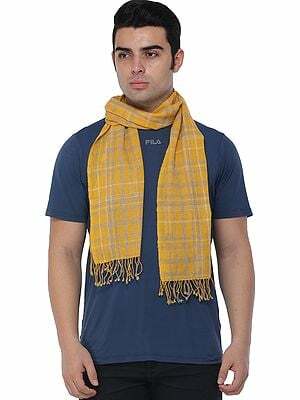 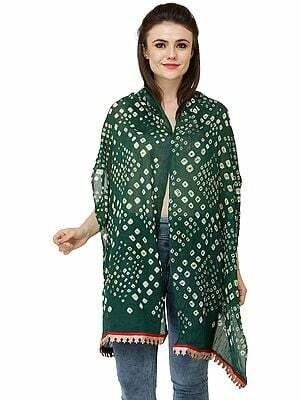 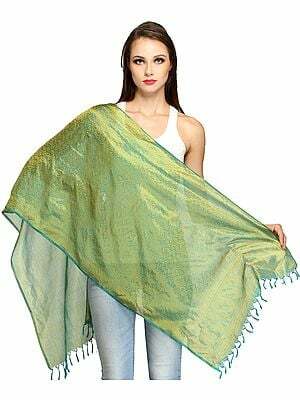 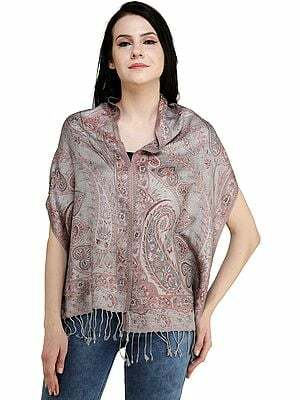 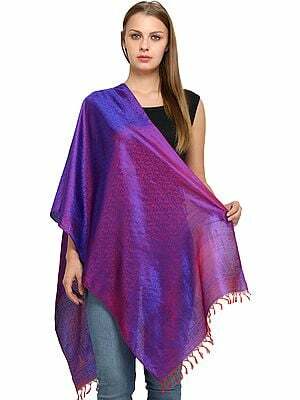 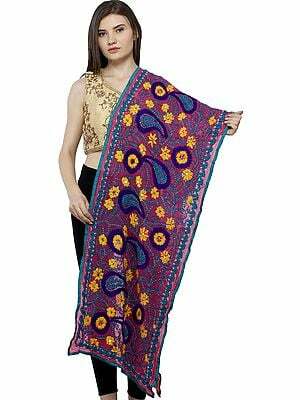 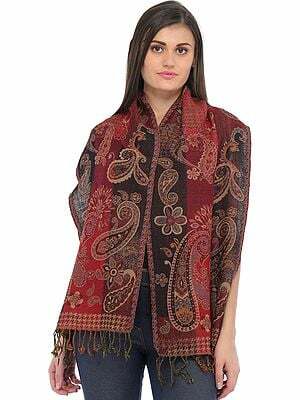 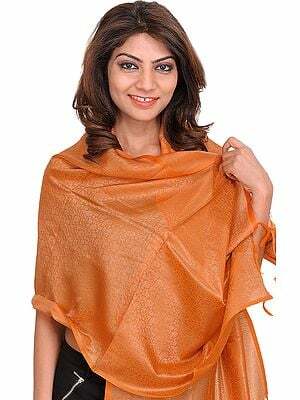 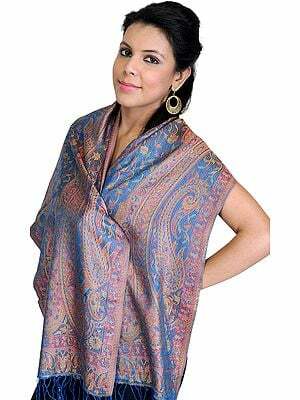 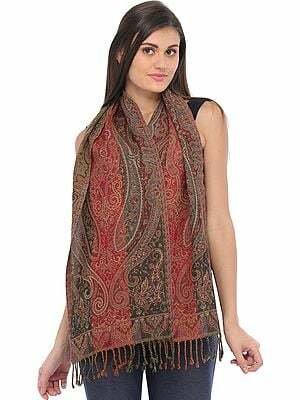 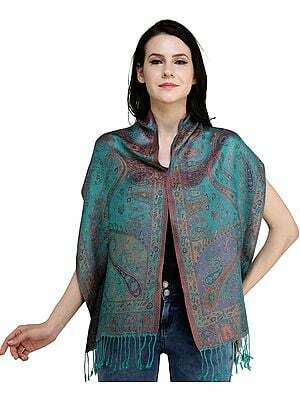 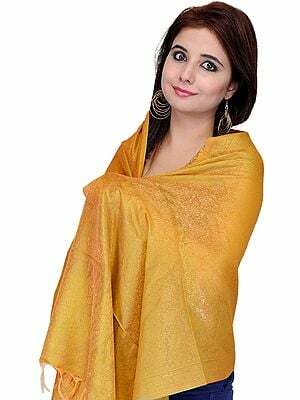 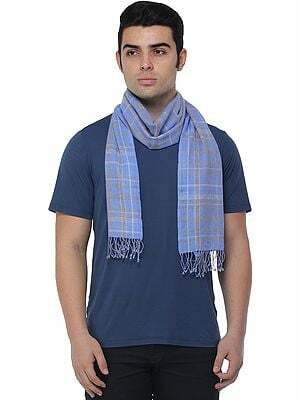 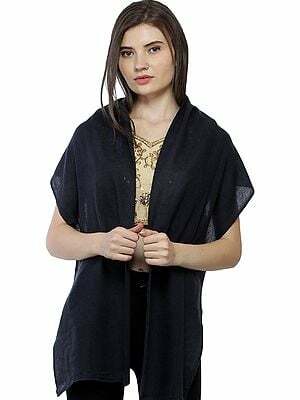 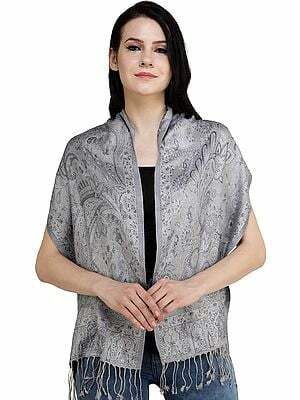 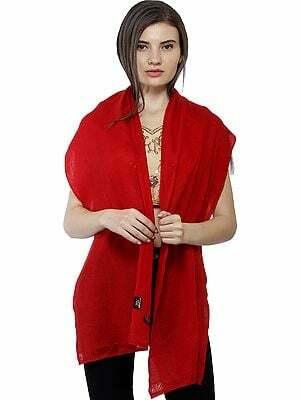 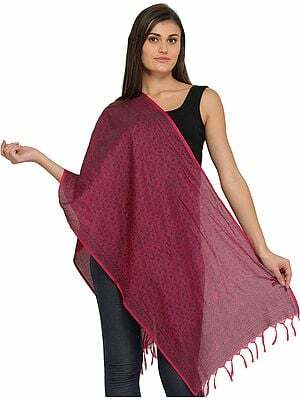 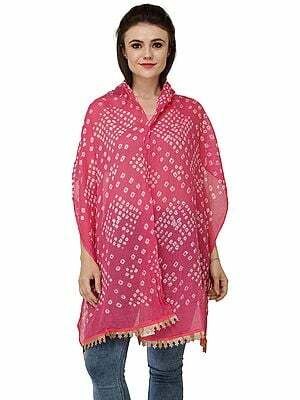 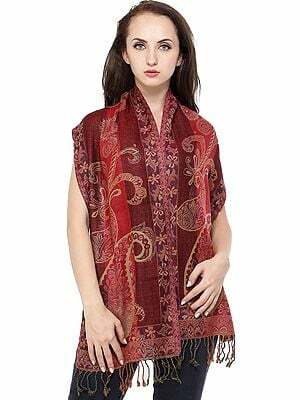 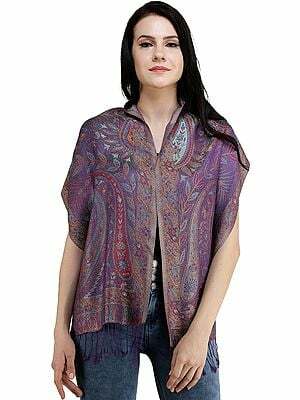 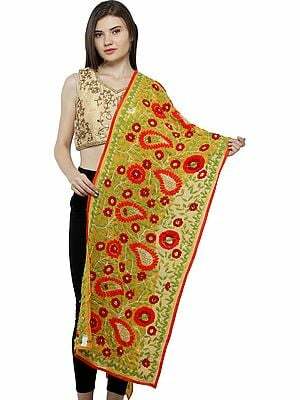 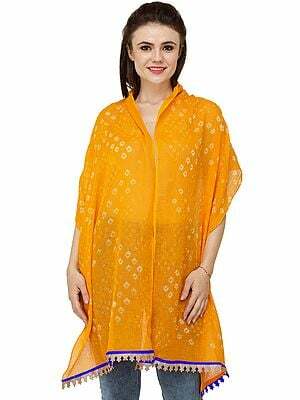 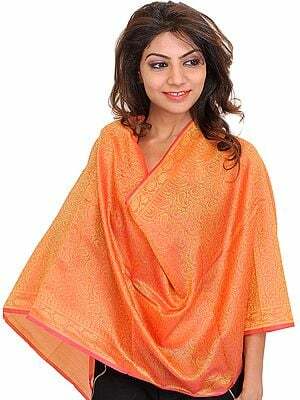 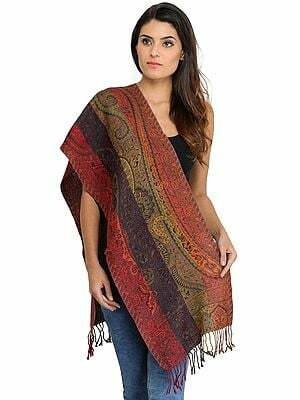 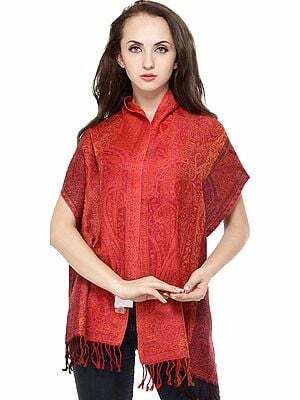 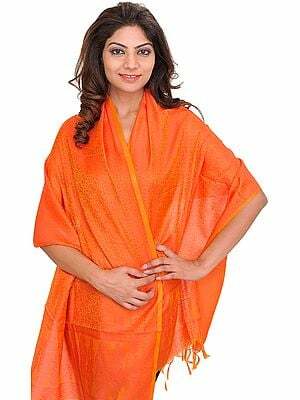 In other words, irrespective of whether you team your chosen pieces from this section with Indian or western attires, these scarves would start conversations wherever you go.